A unique and exclusive range that combines innovative features and ergonomic shapes with Italian design. 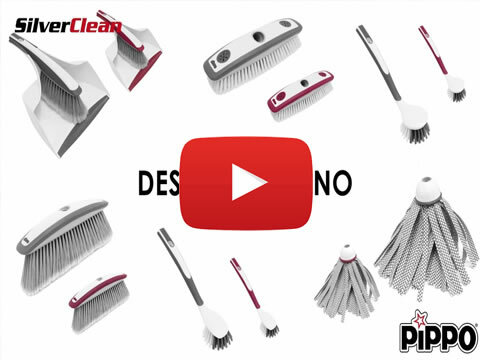 SILVERCLEAN® is a complete range of products for domestic cleaning with an elegant design and intelligent features that make the job easy and efficient. In 2013 the design even won the prestigious “Red Dot Award”. 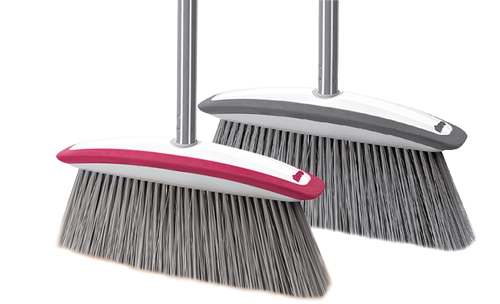 Both the broom as the scrubber have a unique full size bumper that helps to protect furniture when accidently bumping into them during the sweeping job. 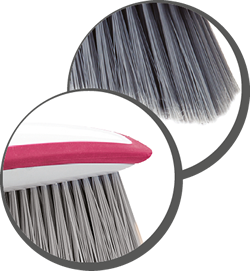 The fibres of some SilverClean brooms are made of nylon in order to make them last longer. Also the scrubber has a unique new features. The two rubber stars are made to insert and block the floor wiping cloth. 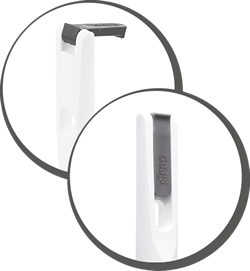 The handles are covered with a comfortable and good feeling rubber. The tip has a practical hook to hang the broom. Did you know that hanging a broom makes them last longer...? Thanks to the silver ions (a non-chemical product!) the proliferation of the most common domestic bacteria (Staphylococcus Aureus e Klebsiella Pneunomia) is significantly reduced in the bristles of these products. 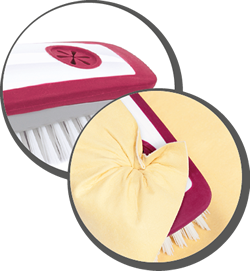 The complete range is available in two versions, white and red and white and grey. Fibers contain Biocides; a 0,2% of "Silver sodium zirconium hydrogen-phosphate- CAS 265647-11-8" and a 0,1% of "Silver phosphate glass - CAS 308069-39-8", that act against proliferation of microorganisms and against bad odors in treated products, is added to the polyer of fibers. This product is made in accordance with classification provided for by ANNEX V of Regulation 528/12 CE e s.m.i.